Click here for an Employment Application. You will first need to download and save the employment application to your computer before completing the form, otherwise the data may not be saved. Interested candidates should complete an employment application and submit it along with a resume and cover letter sent via e-mail to HumanResources@wilmette.com. Please ensure to include which position you are applying for. All positions remain open until filled. The Village of Wilmette offers a competitive and comprehensive benefits package, please follow the link below to review full-time and part-time employment benefits. The Village of Wilmette is seeking candidates to fill a full-time Maintenance Worker I position working in the Water/Sewer Division of the Engineering & Public Works Department. The person in this position will be responsible for a variety of duties primarily focused on the operation and maintenance of the water distribution and sewer collection system. This semi-skilled position performs manual work in public works construction and maintenance activities dealing with water mains, water valves, hydrant or sewer repairs, snow plowing, emergency response, and maintenance work on streets. The salary range is $54,319 to $72,079 with a starting salary DOQ. For more information, follow this link to the job announcement. 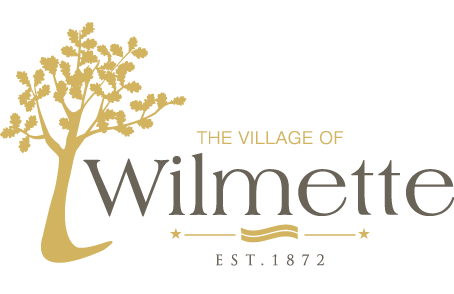 The Village of Wilmette is seeking candidates to fill a full-time Facilities Maintainer I position in the Engineering & Public Works Department. The person in this position will perform building maintenance and light janitorial work and repair duties of low/medium complexity involving carpentry, painting, plumbing, and electrical work. In addition, this position requires availability for work outside of normal working hours (overtime) for snow plowing operations, and coordination of special events. The salary range is $51,244 to $68,001 with a starting salary DOQ. For more information, follow this link to the job announcement. The Village of Wilmette is seeking self-motivated individuals with a positive work ethic to fill the Civil Engineering Intern positions during the summer with the option for additional winter (break time) work. This position will work 40 hours per week, generally between 7:30 AM to 4:30 PM, Monday through Friday. Duration of internship to correspond with college summer break (start and end dates are flexible). The starting hourly rate is $16.82 per hour. For more information, follow this link to the job announcement. The Village of Wilmette is seeking to fill the seasonal Fire Hydrant Inspector position working in the Engineering & Public Works Department. This position will work 32 hours per week for approximately 8 to 10 weeks during the summer months. The successful candidate will be responsible for inspecting fire hydrants for damages, lubricating and/or replacing hydrant caps, checking for obstructions around the fire hydrants, performing data entry and any other related work assignments. The starting hourly rate is $16.82 per hour. For more information, follow this link to the job announcement. The Village of Wilmette is seeking a self-motivated individual with positive work ethics to fill the position of Forestry Intern for the summer months. This position will work 40 hours per week, Monday through Friday for a 10-week period in the Engineering & Public Works Department. The successful candidate will assist in performing a variety of Urban Forestry tasks, including surveys for Dutch elm disease, Emerald ash borer, hazardous trees, view obstructions, tree inventory updates, and other related tasks. The starting hourly rate is $16.82 per hour. For more information, follow this link to the job announcement.